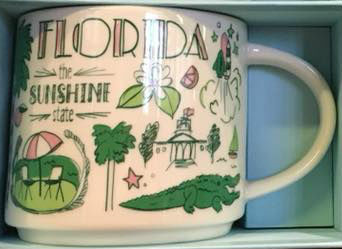 The Sunshine State is presented as the green Starbucks Been There Florida mug. It’s hard to imagine Florida without alligators and palm trees, thus they obviously made their way to the front of the mug. There’s more to discover, stay tuned.